Biodynamic in Oregon, Bordeaux blends in Washington  northwestern states prove America's wine talent stretches beyond Napa Valley's famous labels. A shame most wineries are too small to export to Hong Kong - so why not go there? The neighboring American states of Washington and Oregon share a border and a viticulture area (Columbia Valley), but that's just about where the similarities end. North of the Columbia River, Oregon's earthy, natural spirit gives way to Washington's experimental ethos, where winemakers take their oenologist role seriously by testing different grape varieties and wine-making techniques. Visiting recently as part of an Institute of Masters of Wine tour, I was struck by the expansion of Washington  America's second largest producer behind California  from a few dozen wineries in the 1980s to more than 350 growers, 900-plus wine brands and about 20,000 hectares of plantings. The region consists mainly of large vineyards on big tracts of land planted inland in the state's far east, where the climate is dryer and the weather warmer. Washington's emphasis is in crafting Cabernet and Merlot, with some attention to Syrah. Eastern Washington's desert-like conditions create full-flavored, robust wines that are enhanced by spicy oak flavors. These are wines meant for big American steak dinners  or in Hong Kong, they pair well with Cantonese braised beef. 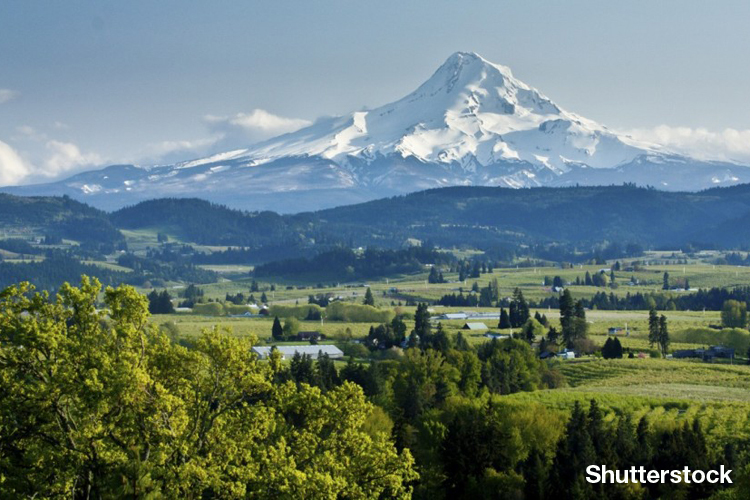 Oregon, cooler than Washington in both climate and attitude, is greener, with soft rolling hills and gentle terrain, not unlike my hometown area of Sonoma County. Here, you'll find wine country and landmarks with names like Rogue River, Columbia Gorge and Grizzly Peak. Oregon's microclimates and soil, featuring mountains, high desert and river valleys, set the scene for some groovy wines. Producers tend to be small, artisanal and closely tied to the land. Almost 50 per cent of vineyards are certified sustainable, which adds to Oregon's air of rusticity. Oregon is best known for Pinot Noir and what I found exciting about the Oregon tastings is how producers now have very clear ideas as to which valleys and hills create distinct flavor profiles in their wines.